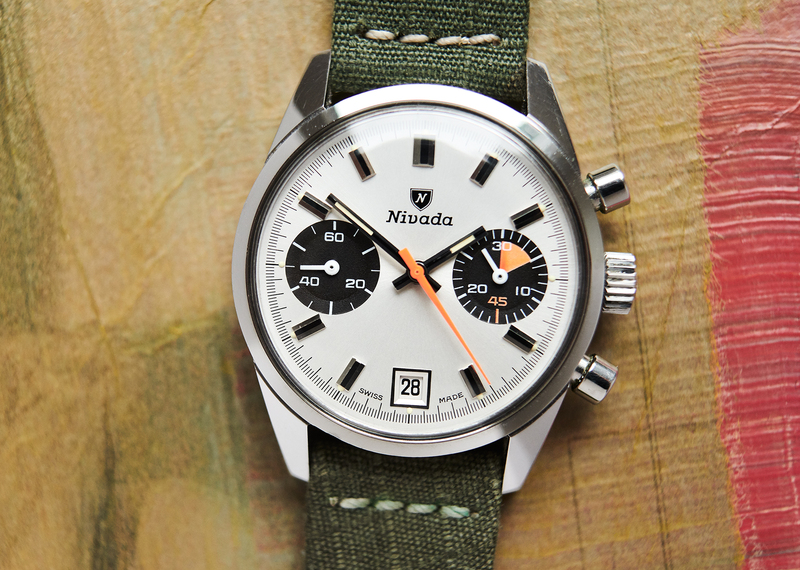 you like steelcase panda chronographs from the late 1960s? You prefer to buy them in extremely hard to source new old stock condition? 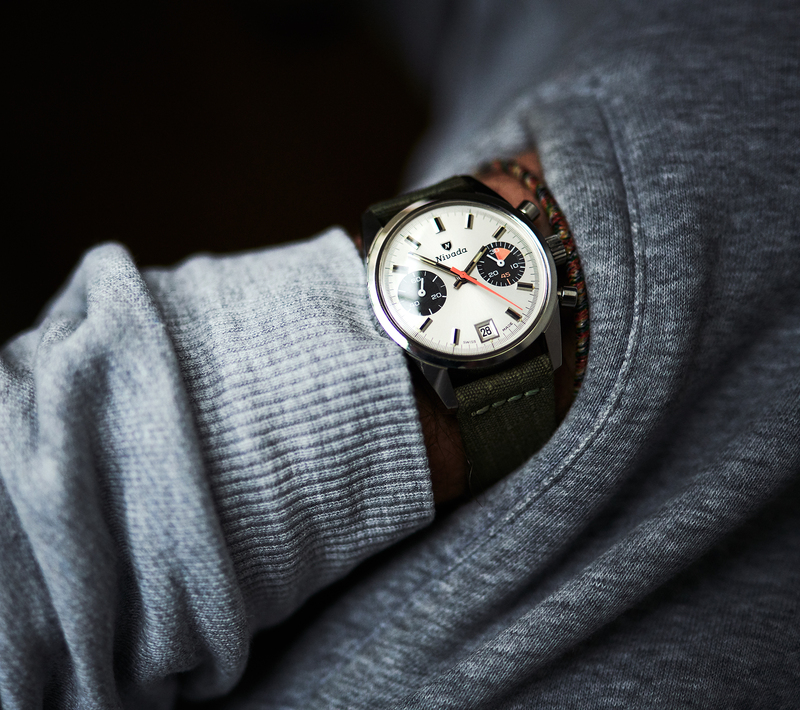 Only very rare watches are interesting to you? You don´t want to spend 15k + for the above attributes, as we got used to in this crazy market for the past years. 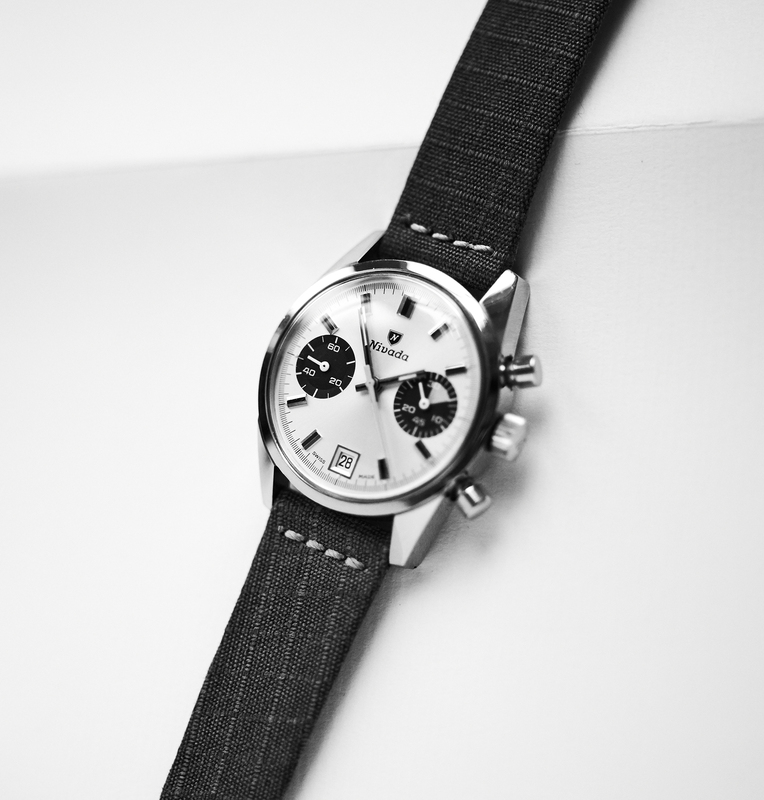 Well then this beautiful vintage chronograph must be the one for you. The images describe the condition of this rare Nivada Dato very well. 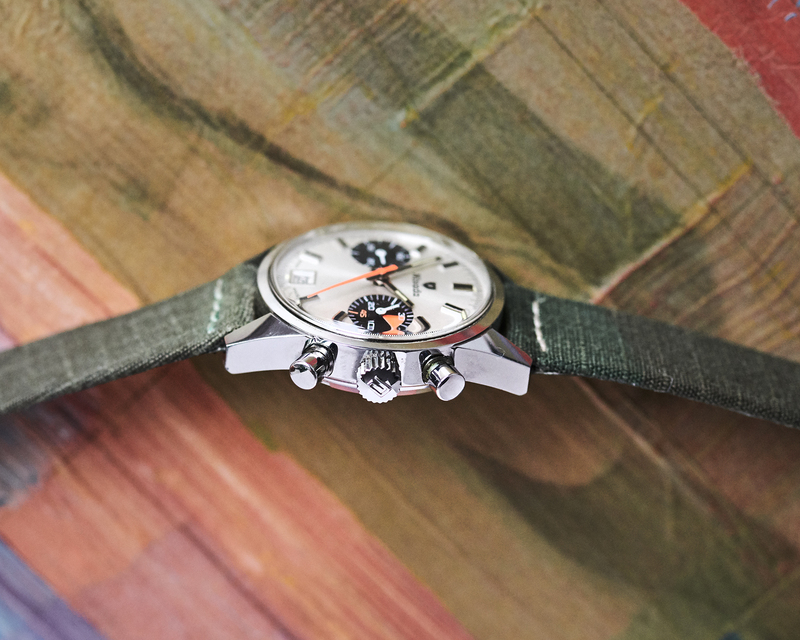 It´s new old stock with only some minor scratches of storaging over the past 5 decades. 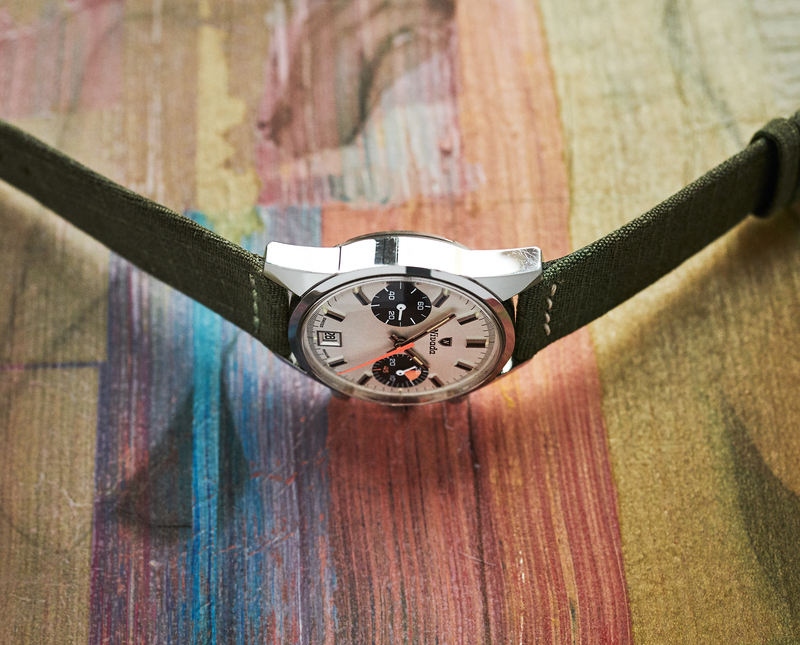 The 36mm stainless steelcase is for sure 100% unpolished. 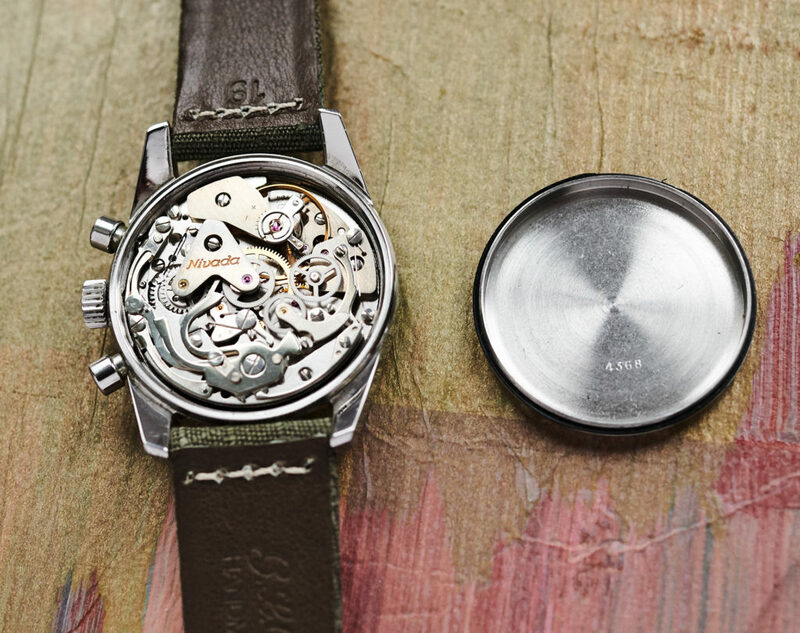 Singer-Dial and handset are in 100% perfect condition with all original tritiumdots appearing in full size. 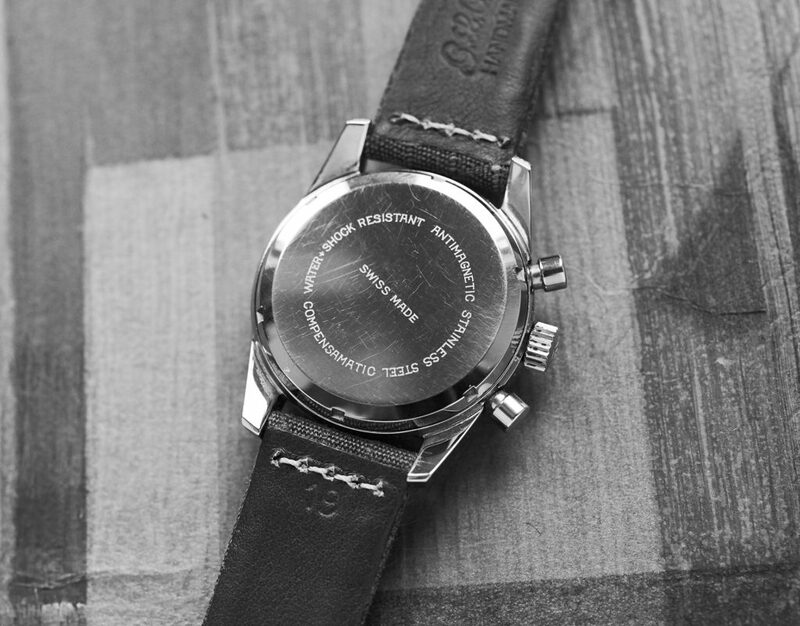 crown, pushers and plexi are the original ones and as well as the rest of this watch in perfect condition. 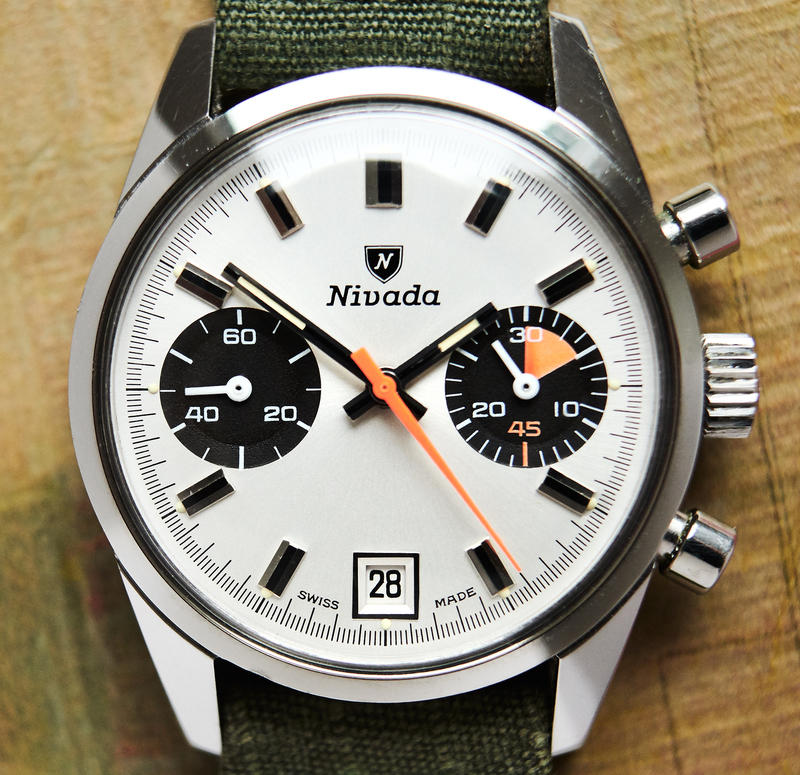 The Nivada signed Valjoux 7734 is running exactly with no revision needed for the next years. 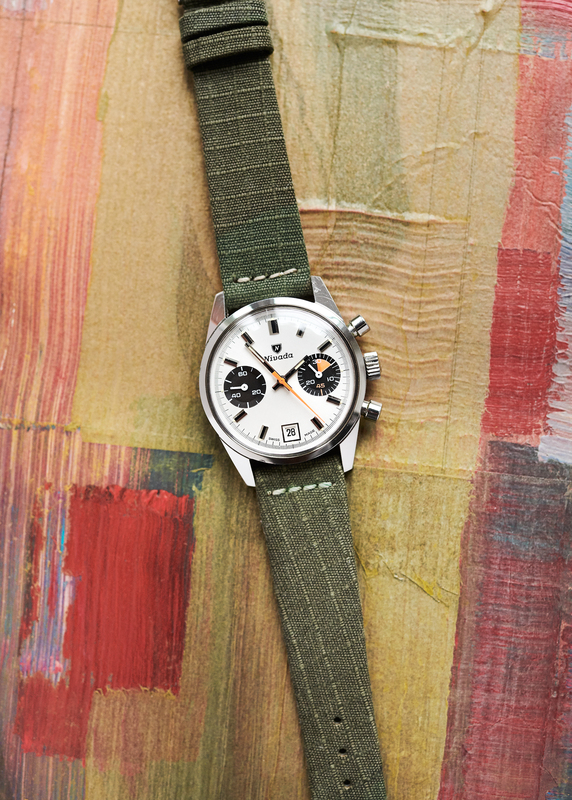 This collectorsdream comes on a olive-green 19mm denim/leatherband by GLC straps in rome.